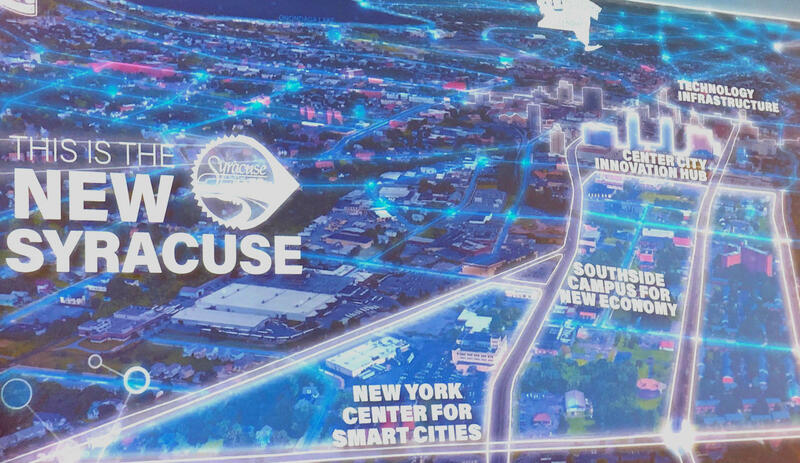 Technology, innovation and education at center of plans for Syracuse Downtown growth. The Tech Garden has successfully spun off several companies that have made a home here in Syracuse and Walsh wants to expand it. He’s calling the area the Southside Campus for a New Economy. A centerpiece will be renovating the old Central Tech into a school for Science, Technology, Arts, Engineering and Math. "So the idea for a regional STEAM High School is that if you look at what is working in urban education, it is our career and technical education programs. They are not only a source of pride for us here in the city, but they're something that the suburban districts are increasingly trying to replicate." Mayor Walsh describes plans for innovation and growth at downtown event. Walsh also announced plans for a new downtown policing strategy and the launch of a bike-share program to start this spring. He further detailed his 'smart city' plans, installing communications nodes that can collect and transmit data on city services, street quality, telemedicine, perhaps even fuel growth in drone and future transportation growth. "How does that relate to you, as residents and businesses? That level of connectivity is also going to be the platform into which we can start to bridge the digital divide and put all of us into a position where we have the fastest, best level of connectivity when it comes to internet connections." The Downtown Committee puts on these events to highlight city progress. 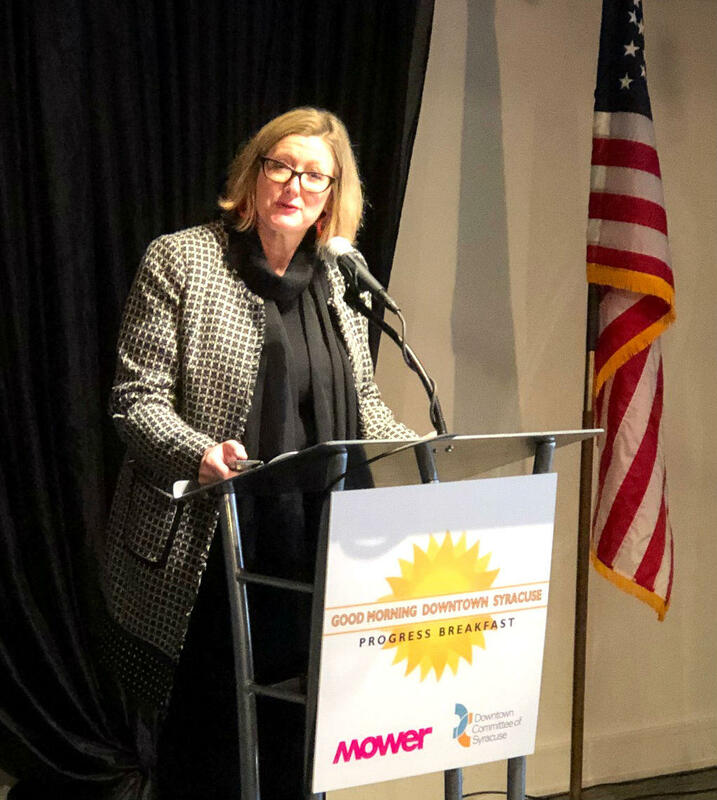 President Merike Treier says more residents downtown led to the opening of 22 new retail businesses in 2018, with 10 more slated this year. And is finding more opportunity knocking. "Interest in downtown is strong. Last year, our team repsonded to 591 requests for statistics and information on locating downtown. And 2019 is also off to a strong start." Apartment growth continues as well, she added, with 500 new units in development. Treier noted investments in the arts are also important, bringing more than 5 million people into the city each year. Everson CEO Elizabeth Dunbar described some of museum's history, improvements and programming as it celebrates 50th year. In addition, the event featured a presentation on new programming at the Everson Museum. Director Elizabeth Dunbar showed plans for a new museum cafe, renovations to the theater and education spaces, as well as programming that will continue to honor the Everson's 50th anniversary. Acropolis Reality Group officials Steve Case and Ryan Benz shared inforamtion about the final touches of a $4 Million investment on Salina Street that includes The Whitney Lofts apartments,a s well as "Oh My Darling" restaurant and a 1920's-style speakeasy. This story was edited to correct spelling. 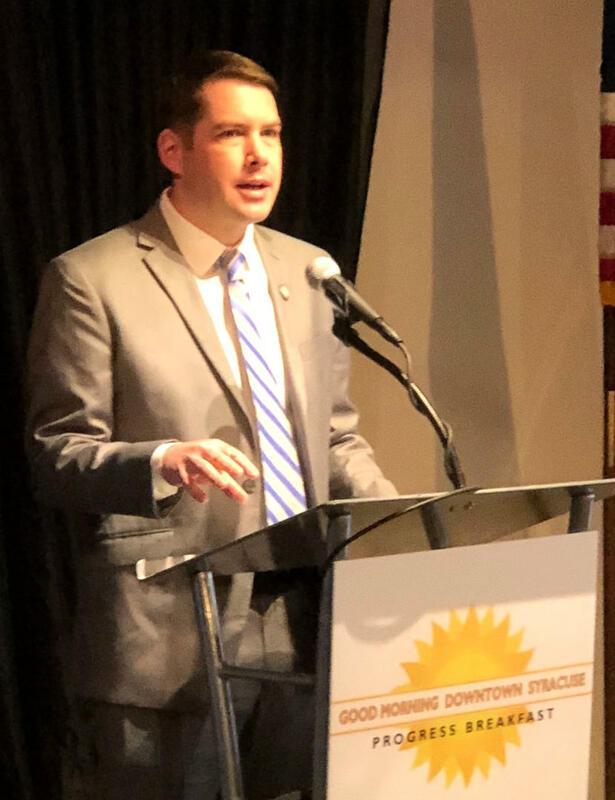 An investment of $315 million dollars in Downtown Syracuse construction projects, the addition of 440 new hotel rooms within three years and a thriving arts, entertainment and sports scene are all positive signs of Downtown’s resurgence.